When it comes to religious jewelry, Matthew F. Sheehan can't be beat. 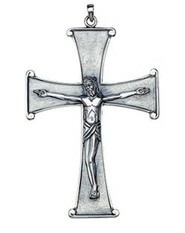 We offer the finest selection of religious jewelry for Christians and Catholics as well as all other faiths. 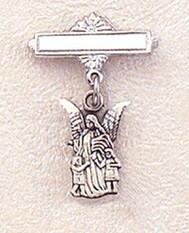 Our selection of religious jewelry includes a variety of pendants, charms, medals, crosses, crucifixes, bishop's rings and more. 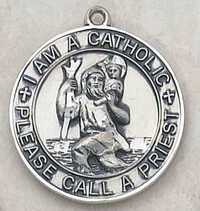 Wear a beautiful necklace to showcase your faith or choose a prestigious bishop's ring to honor a high-ranking member of church. 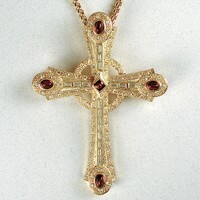 At Matthew F. Sheehan we believe in quality and strive to only offer the finest religious jewelry on the market. Our pieces are made with premium metals like 14-karat gold, sterling silver, white gold and more. Each item is carefully crafted to meet the highest standards for quality and to last for years to come. 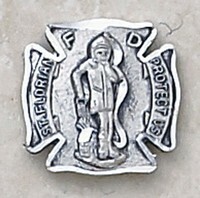 Many of our pieces are heirloom quality and can double as a keepsake. 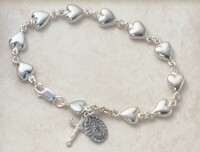 We also carry specialty jewelry items like baby bracelets that are intended to mark life's milestones. 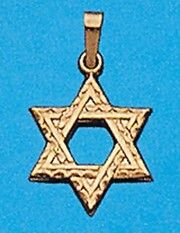 Religious jewelry tends to be more detailed and intricate than other types of jewelry. Many pieces are imprinted with images of Biblical figures or references to passages in the Bible. Because clarity is important when it comes to religious jewelry, each item offered in Matthew F. Sheehan's collection is carefully chosen to meet our strict demands. We only offer the finest jewelry pieces possible, so you can shop with confidence knowing you won't be disappointed with your selections. 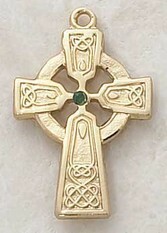 Whether you're looking for religious lapel pins, Christian baby jewelry, bishop's rings or communion bracelets, you'll find a great selection of all types of religious jewelry at Matthew F. Sheehan. We have been in business since 1907 and are the experts at delivering premium-quality merchandise at affordable prices. Browse our selection today to find the right piece of jewelry for your needs. For more information on a specific piece or to order by phone, please give us a call at 1-617-971-9800 and we'll be happy to help.